PDF courtesy of Google eBook. [1. Editorial:] A subject of intense professional interest, . . . . [3.] King's College Hospital. Painless surgical operations. By Mr. Fergusson. It was on the 17th of this month that I received from my friend Dr. Boott the first intelligence relating to this discovery, and which intelligence had been conveyed to him on that day in a private letter from America, and stated that numerous surgical operations had been performed at Boston, and, amongst others, numerous extractions of teeth, and I immediately contrived an apparatus for the purpose of testing these remarkable allegations. On the 19th, in the presence of Dr. Boott and his family, I operated upon a young person thrown into sleep by the inhalation, and extracted a molar tooth from her lower jaw. 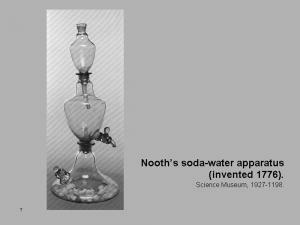 The apparatus employed consisted of the lower part of Nooth’s apparatus with a flexible tube, to which was attached a ball and socket valve, and mouthpiece, similar to those commonly used for inhalation. I repeated the experiment a few days after on other parties, but in several cases little or no effect was produced by the vapour; the fact was that the ball and socket valve, though impervious to water, was not to air; moreover, as the patient was becoming insensible, and the breathing tranquil and involuntary, he had no longer the power of raising the ball. Hence the breath passed into the vessel and diluted the ether vapour, and only an incomplete insensibility ensued. Instructed by these circumstances, I have had another apparatus made by Mr. Elphick, of Castle-street, Oxford-street. . . . [An illustration of it appeared the following week.] This apparatus I tried on Saturday last [26 December] on two patients, from one of whom I removed an upper molar, from the other a deep-seated stump. My success was complete. Yesterday [27 December], I again operated at my house, in Dr. Boott's presence, on Mr. Dixon, surgical instrument-maker, of Tonbridge-place, New-road . I again operated this morning [28 December] with the most perfect success in the presence of my friends -- Mr. Stocks, Mr. Snow, and Mr. Fenney .